HI all!!! I've been back to school for a week now so I'm late to the party. Which party? 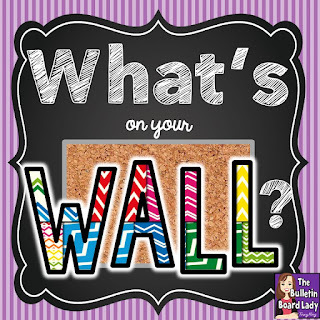 The Linky Party, hosted by Tracy King, the Bulletin Board lady!!! 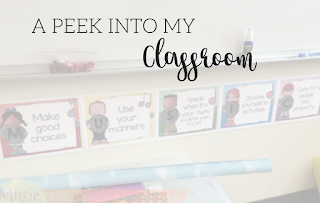 It's a linky party to show off how we've all decorated our classrooms for the year. Now, I'm going to be completely honest, I decorate my room at the beginning of the year and that's it. I don't change out my bulletin boards, with my 2 kids, teaching full time plus teaching choir and two handbell choirs I don't have time. It's not been until the last couple of years (thanks to the peer pressure of Pinterest) that I've started getting more into decorating my room. 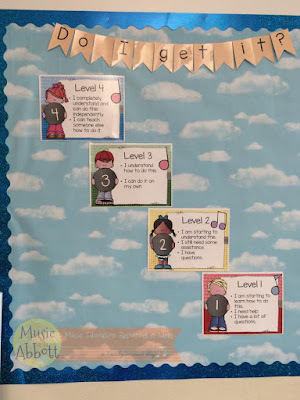 This is my self-assessment board. I started this last year and I really like it! 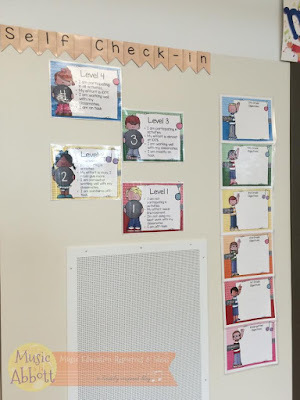 I don't have a behavior chart, instead this is a self check in so if I have a kiddo that starts to get off task I can whisper in their ear to do a self check in. Right next to that is my objectives. I tried to have ones that were preprinted and magnetic. Those kept falling down so I'll be working on some velcro ones I can add to these but in the meantime, a vis-a-vis marker is used to write them down. I really don't have all that much wall space, so this is squeezed between two windows (and with the bright Colorado days it's hard to get a good shot! Or posting these there.... I might post the body signs somewhere still, we'll see, lol! 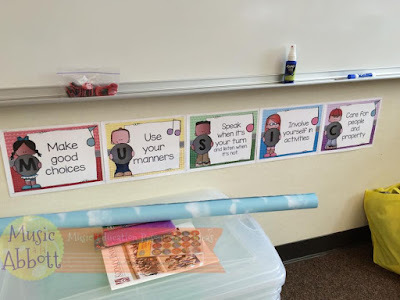 I have my M-U-S-I-C behaviors signs at the front of my room. 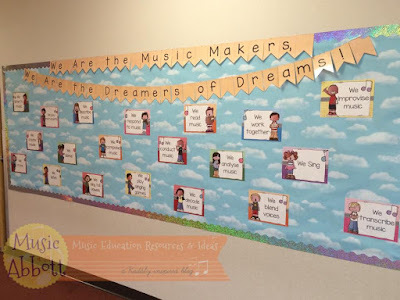 All this can be found in my "We Are the Music Makers" Set on TpT (it includes WAY more than I've shown here! 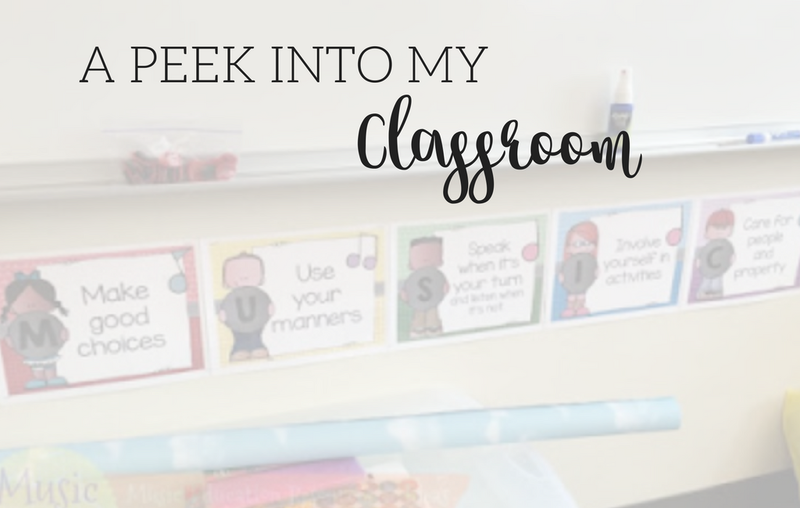 If you'd like to visit more music rooms, or if you're a blogger, make sure to link up with Tracy King!! I love it! I really like the poem and your theme this year. I had to laugh when I saw how cleverly you went around the vent with paper and border. 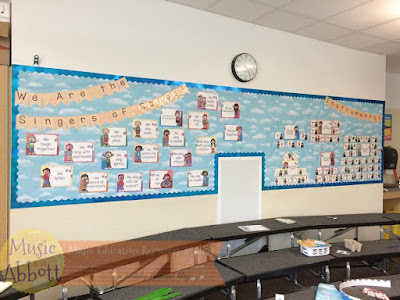 My first year teaching I had to do something like that but it was the thermostat right smack in the middle of my "board" Thanks for linking up! You mentioned you have two handbell choirs. 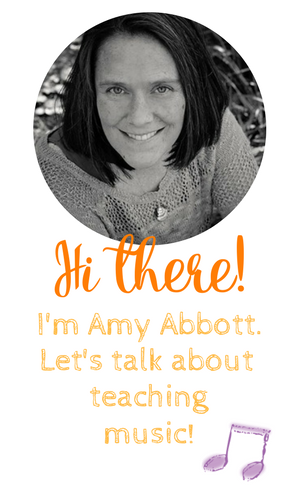 Have you written a blog about this - what music you use, how you teach the students to use handbells etc? I would love any suggestions. Thanks in advance. 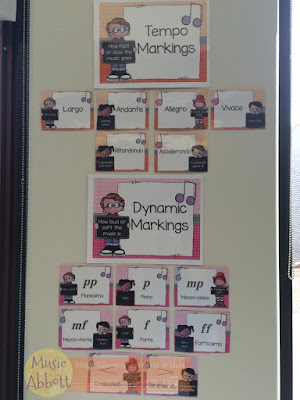 So well organized and lots of useful info for the music teachers! Thanks for the post!